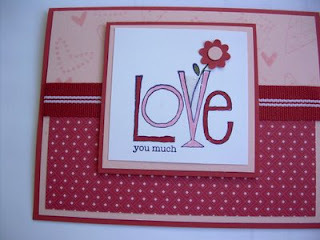 I have been playing with the brand new Love You Much Stamp Set and the Candy Lane Designer Series Paper. 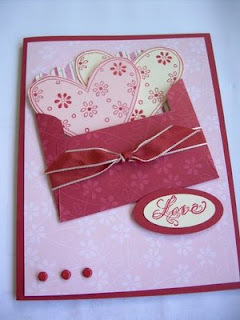 There is also a Heart to Heart punch which will punch out the 3 hearts on the one stamp in the set. The three items in the bundle are packaged at 20% off until January 31st for $41.48 You are saving a little over ten dollars when you purchase the bundle. 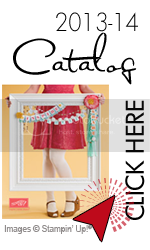 The Candy Lane paper is really different with the colors being, ruby,close to cocoa, real red, pink pirouette and pretty in pink. I will be showing you additional cards made with this awesome DSP.